Since the late 1980’s, the innovative water feature products of Atlantic Water Gardens have helped create beautiful backyard oases that everyone can enjoy. Smart Rain is ready, willing and able to help you to create your next water feature project using Atlantic equipment. We invite you to explore our full line of pumps, fountain basins and decorative toppers, water gardening skimmers and filters, pond-free pump vaults, matrices and falls, solid brass LED lighting, water feature maintenance products and the most innovative, award winning accessories on the market, not to mention the original Colorfalls, the first and still the best lighted spillway in the world. 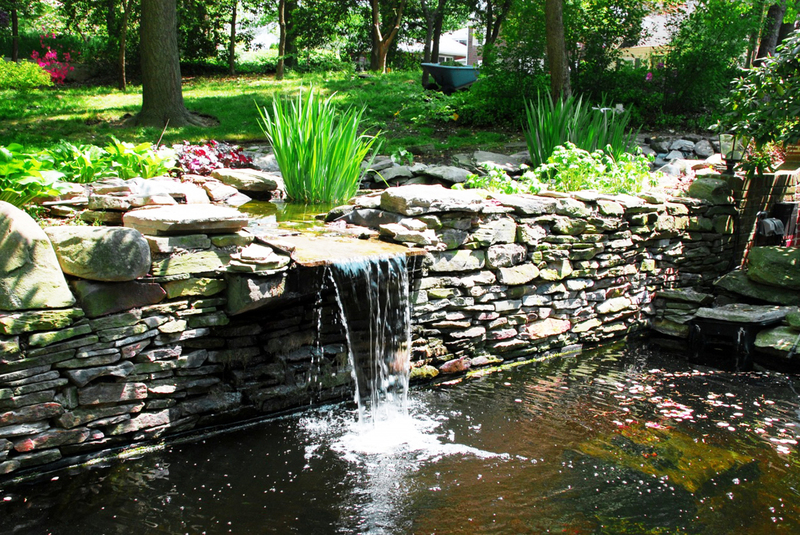 Atlantic’s systems offer innovative, quality water feature equipment for every taste and every area, from fountains and spillways to enhance the hardscape, to ponds and pond-free falls for the yard, LED lighting to illuminate them and all the accessories you need to easily install everything. Our products are consistently recognized as the best in the industry, making them a favorite among homeowners and contractors alike, and we continue to improve and add new products all the time.